You might think Apple Watch Series 1 is just the original Apple Watch, but that’s not quite true. Just like Series 2, it got introduced during Apple’s big keynote Wednesday. Although it’s mostly the same as the original model, one thing changed — and it’s extremely important. Apple Watch Series 1 is familiar, but faster. Apple Watch Series 1 packs the new S1P dual-core processor. It’s significantly faster than the processor in the original Apple Watch, so the user experience feels smoother and snappier. “Apps launch immediately and are always up-to-date,” according to Apple. Given that performance (specifically painfully slow app loading times) ranked as one of the biggest complaints with the original Apple Watch, this marks a big improvement. But it’s the only improvement — other than that S1P chip, Series 1 is the same as the original Apple Watch. Apple Watch Series 2 benefits from a dual-core processor like Series 1, only it uses Apple’s new S2 chipset, which adds built-in GPS. That means that even when it’s not connected to your iPhone, Apple Watch Series 2 can track your route and measure speed and pace precisely. Apple Watch Series 2 can track route and pace. Series 2’s S2 chip also boasts a new GPU, which delivers two times the graphics performance of the original Apple Watch. This enables even greater watchOS apps with exciting new features that run smoother than ever before. Series 2 brings the brightest display Apple ever shipped on any product. It’s twice as bright as the original Apple Watch display — reaching 1,000 nits when necessary, just like iPhone 7 — which means it’s easier to see outside on a sunny day. Another big improvement with Apple Watch Series 2 is that it’s rated water-resistant up to 50 meters. That means you can take it swimming in a pool or even in the ocean, and you don’t need to worry about it giving up on you when you get out. 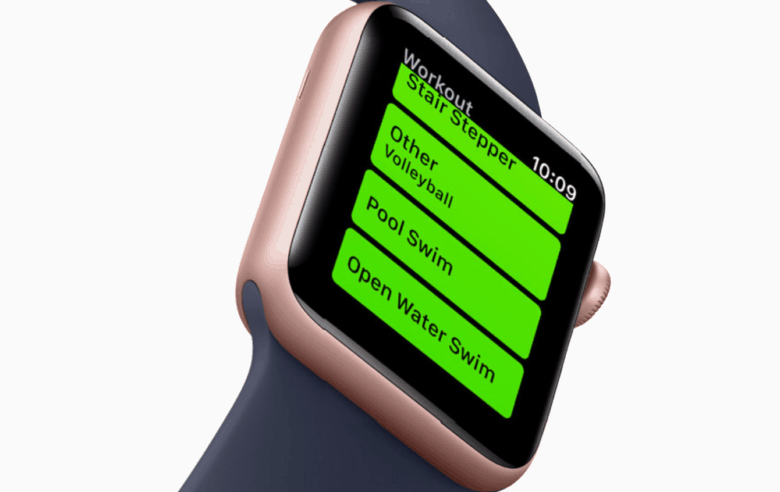 Apple provided new swimming workouts in watchOS 3, including Pool Swim and Open Water Swim, which provide details on lap count, pace, distance and calories burned during your workout. Apple added new workouts for swimmers. To make this possible, Apple redesigned the Apple Watch’s speaker. Since it can’t be sealed because it needs air to produce sound, it lets water in then automatically uses sound vibrations to force it back out when you finish your swim workout. Series 2 is available in more versions than Series 1. 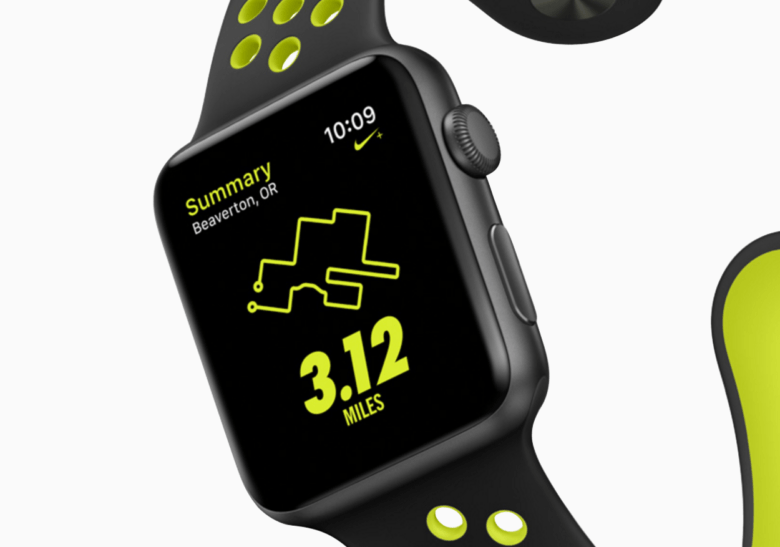 Apple teamed up with Nike to develop Apple Watch Nike+, which ships with exclusive Nike Sport Bands made from lightweight fluoroelastomer, Nike watch faces, and the Nike+ Run Club app. Oh, man! That ceramic model looks stunning. 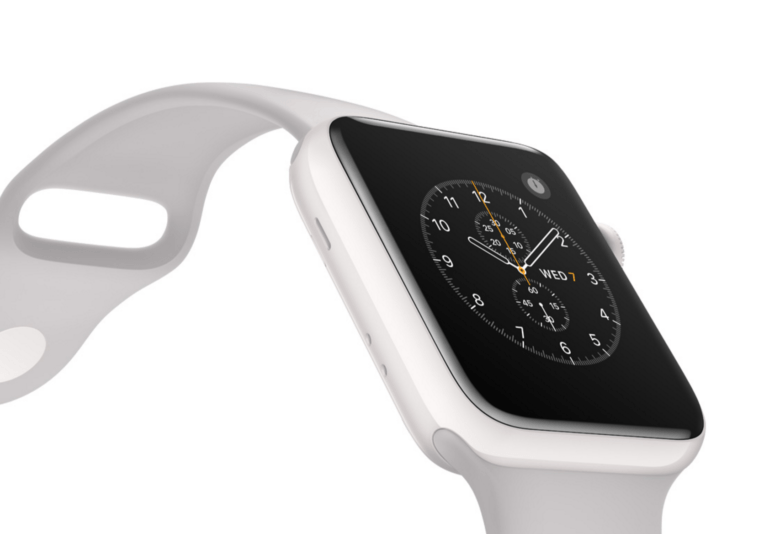 Apple Watch Edition Series 2 is made from ceramic instead of gold. It’s four times as hard as stainless steel, with a “pearly, lustrous finish that won’t scratch or tarnish,” Apple says. It’s absolutely stunning, but prices start at $1,249. 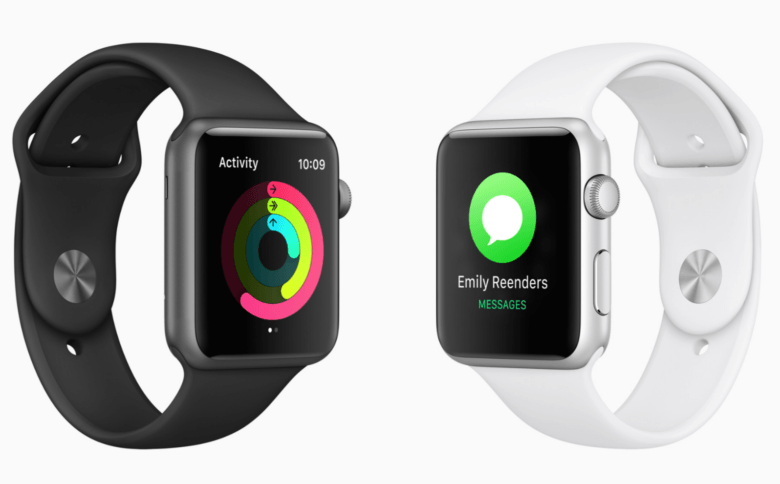 Choosing which Apple Watch is right for you is easier than it might seem. 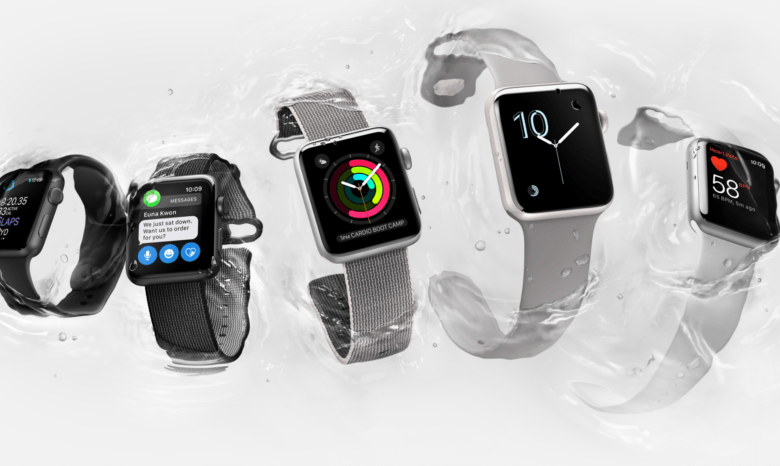 The first thing you need to consider is whether Series 2’s new features — increased water-resistance and the built-in GPS — seem important to you. If you don’t swim and you don’t plan to start, and you’re happy to carry your iPhone during your workouts to track things like route and pace, then the additional $100 you’ll need to spend to pick up Series 2 probably isn’t going to be worth it for you. However, if you’ve been waiting for Apple Watch to get GPS, or you’re a swimmer who wants to track your pool workouts, then Series 2 is a no-brainer. Get it in ceramic if you can afford it.